What is the best return on a seller’s investment of time and money to prepare a home to go on the market? Declutter, Clean, and Neutralize! Buyers need a clean slate to envision a home as being their personal space. That means getting the home prepared to appeal to the widest audience possible. Clean as if you were hosting important guests at a luxury hotel. If your kitchen or bathroom don’t look “hotel clean” buyers will not only find it disgusting, but some won’t even consider buying it. Buyers will discount your home’s value because they believe a house that isn’t clean is probably suffering from a lack of owner care and maintenance in general. Clutter and collections should be packed away. Only a minimal number of objects should be on any flat surface, ideally no more than three items. Exteriors should be power washed and the front entry should be attractive since it makes the first impression. So painting the front door and trim, hanging a wreath on the door, or putting a pot of flowers at the entrance can make it appealing. Neutral colors help a buyer feel like a home fits them and their furnishings more easily. Sellers should paint a soft consistent neutral color throughout the home, remove all wallpaper, and limit the amount of wall decor and photos. Removing curtains is often a good idea too, so more natural light enters the home and views are not obstructed. Our article on neutral colors provides excellent insight into the best paint color choices, based on research from thousands of real estate agents. The only exception to a neutral decor is in some cases when a home is professionally decorated and staged with modern, tasteful colors with a wide appeal. Repairs to anything broken or not working as intended are not considered upgrades. Cleaning out gutters or adding pinestraw to landscape beds or replacing an aging heating and air conditioning system are not upgrades. All homes require investing in maintaining major systems and replacing them when their life expectancy is reached. If a buyer sees a lack of maintenance in a home, they will often bypass it for consideration or expect a significant discount on the price to compensate for a home not being well maintained. We recommend repairing everything possible and getting the yard in good shape to make a good impression on a buyer. Granite or quartz countertops, new appliances, and new cabinets in the kitchen can help a home sell faster and for more money. Sellers often ask if they will get their money back on a kitchen upgrade to sell. In almost all cases, the answer is no. In cases where the kitchen is terribly dated or has functional issues, it may be necessary to upgrade the kitchen simply to be able to interest a buyer, unless the price is deeply discounted as a “fixer upper” sale. Spending $50,000 on a kitchen upgrade will not likely guarantee a return of $50,000 in the sales price of the home. Most kitchen renovations have a 70-85% return on the investment. Bathroom upgrades are typically slightly less of a return on the investment than a kitchen upgrade. Repairing or replacing damaged counters, cabinets, appliances or flooring, is considered maintenance and not upgrades. The exception is when you upgrade the selection of the replaced item, such as laminate counters to quartz counters. Sometimes small updates like painting cabinets or adding new knobs can give a fresh look without as significant of an investment. Finished basements must have central heat and air to count as finished basement space. Appraisers give a lower value per square foot for a finished basement than for above grade square footage in the main part of a home. In general, finished basement space will give about a 50-75% return on investment, depending on the quality of finish and level of function. A full in-law suite with it’s own kitchen, bath and laundry will have a much higher return on investment than simply having a large recreation room without a bathroom finished in a basement. For a homeowner who doesn’t have the time, money or desire to do repairs and/or neutralize their home to sell, there are always buyers willing to accept a home in “As Is” condition. Buyers expect to get a better deal since they are accepting a home that will require an immediate investment in their time and money. 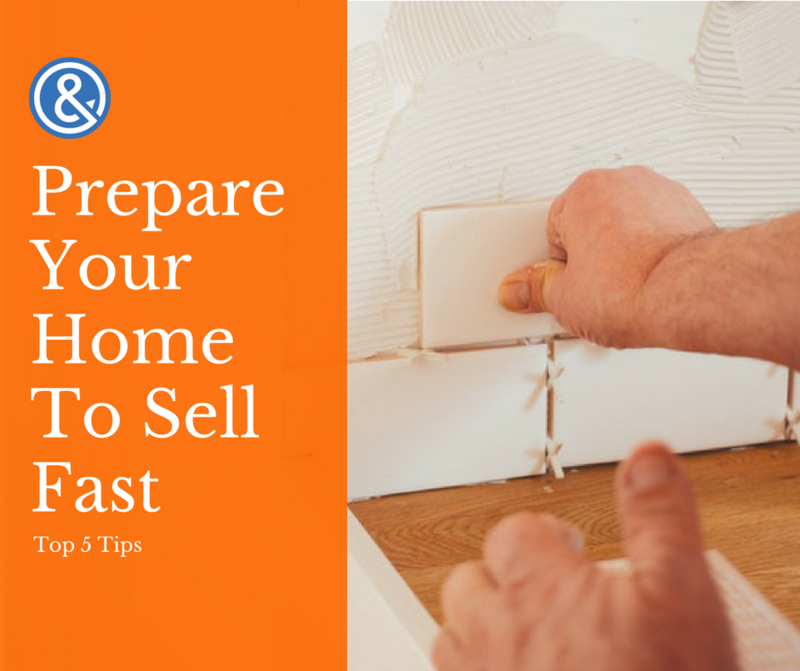 A good rule of thumb is if a home needs $5,000 in repairs, it should be priced $10,000 lower than if the repairs were done, since the buyer will be inheriting the hassle as well as the expense of doing work to the house. Keep in mind that both homeowners and agents in Georgia must disclose material defects with a home. If an agent or owner is aware of something materially wrong with a home that is not obvious with a quick visual inspection, they are obligated by Georgia law to disclose those known defects to the buyer, even if they are selling the home “As Is.” Those known defects should be disclosed in the Seller’s Property Disclosure that is part of the contract, or if no disclosure is provided, in a special stipulation to the contract. Get your home clean, neutral, and clutter free, inside and outside. Invest in paint and flooring as needed. Repair anything broken or marginally working. Do minimal upgrades, like change light fixtures or knobs, instead of a full renovation. Call Path & Post Real Estate to guide you on the best steps to maximize your investment.